S.S. Conner Elementary Green Team. As more students become concerned about the environment and issues of sustainability, green teams or recycling clubs are a growing presence on district campuses. 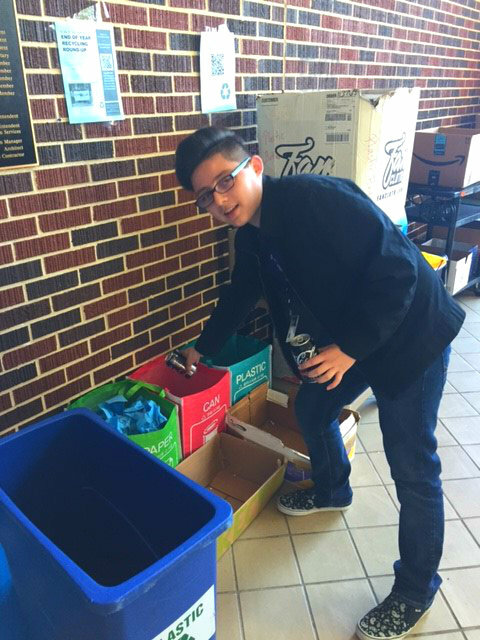 Students in these clubs sponsor recycling drives, collect office paper and cardboard on their campuses and participate in campus and neighborhood beautification efforts. They are spreading the message that recycling is an important, earth-friendly practice, and reminding their peers to recycle rather than toss reusable items in the trash. As a reward for the most active campuses and an incentive to others, the district’s Energy and Waste Management Department, in concert with corporate waste handler, Waste Management, recently awarded $6,000 in cash awards and scholarships to schools and students for their commitment to recycling. Three campuses – S.S. Conner Elementary, John Runyon Elementary and South Oak Cliff High School –each received $1,000 cash awards in recognition of their efforts to promote, sustain and expand their recycling program. The schools developed recycling improvement plans, actively involved faculty coordinators to oversee the program and sponsored or participated in a series of recycling and/or beautification events, including Earth Day celebrations. In all, the three schools recycled more than 72 tons of waste that might otherwise have gone into area landfills. Three high school seniors received $1,000 scholarships for their recycling leadership. 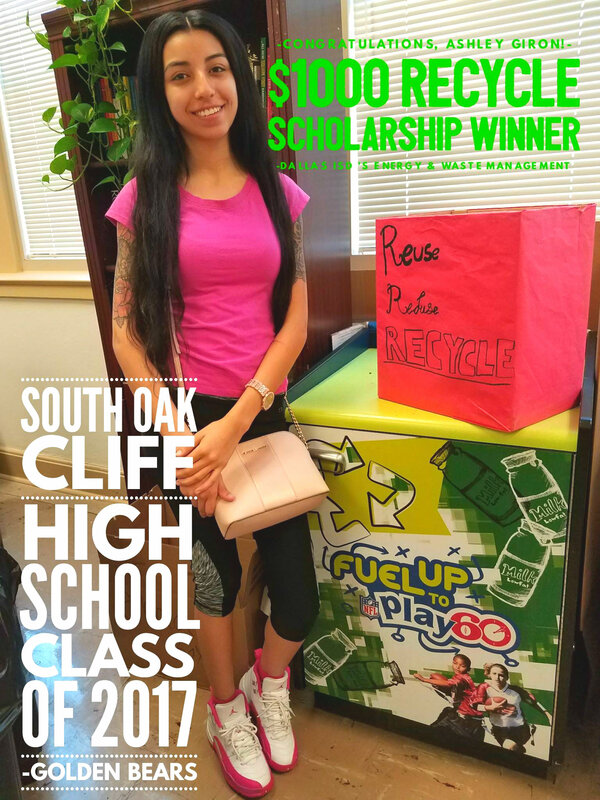 In applying for the scholarships, Ashley Giron of South Oak Cliff High School, Elmer Rivas of Sunset High School and Luzlil Villalobos of Irma Rangel Young Women’s Leadership School, wrote essays that described their involvement and personal commitment to recycling, how they contributed to their school’s recycling programs and efforts to overcome challenges along the way. 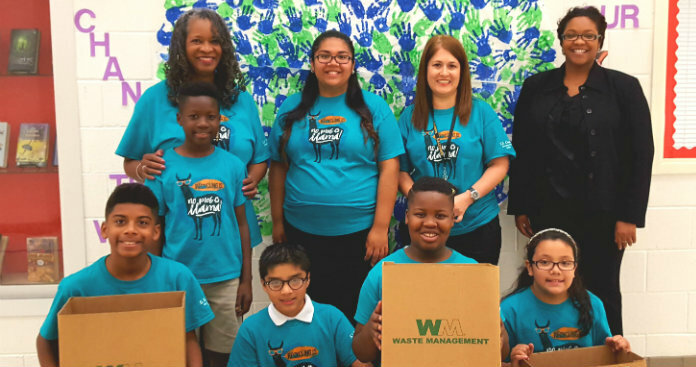 Dallas ISD Energy and Waste Management Technician Toya Hunter congratulated the students and their campus recycling coordinators for serving as champions for sustainable practices. Overall, 18 campuses sponsored recycling activities this year. Hunter said she hopes the awards will prompt even more interest and involvement in the program next school year. 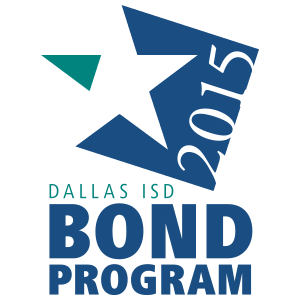 Schools with an interest in forming a recycling club or expanding their program can contact Hunter at (972) 925-5081.